CAMPAIGN DESIGN for Stanford University. Designed, produced, and managed distribution for all printed collateral for Stanford's yearly employee open enrollment for benefits. WEBSITE DESIGN for SSLReview.com. Strategized, designed and developed website and online app that matches customers with SSL products. DIRECT MAIL for Symantec. Developed direct mail postcard and email for Symantec's Norton Backup product. ONBOARDING CAMPAIGN for Thawte. Developed content, designed and deployed emails to lead customers through the installation process for their SSL seals and certificates. LEAD GENERATION for Symantec. Developed direct email that utilizes "tips and tricks" surrounding the largest yearly online sales event to create customer interest in stronger SSL security. TRADESHOW SIGNAGE for VeriSign. Developed large signage with bold messaging to increase tradeshow booth traffic. QUARTERLY MAGAZINE for Stanford University. Strategized, designed and produced quarterly magazine to educate Stanford faculty and staff on efficient use of employee benefits and to promote a healthy community. POSTER DESIGN for Norton Shopping Guarantee. Developed content and designed poster to promote an internal sales referral campaign. CUSTOMER RELATIONS EMAIL for GeoTrust. Created content and design for holiday email with a reminder of GeoTrust's value to the customer during the holiday season. REFER-A-FRIEND CAMPAIGN for NetSpend. Strategized, developed content and designed direct mail campaign with a strong visual tie-in to the target population's key motivator. LEAD NURTURE CAMPAIGN for Symantec. Created a series of emails promoting the various features of Symantec's Website Security Solutions to new leads. PROGRAM BRANDING for Stanford Manager Academy. 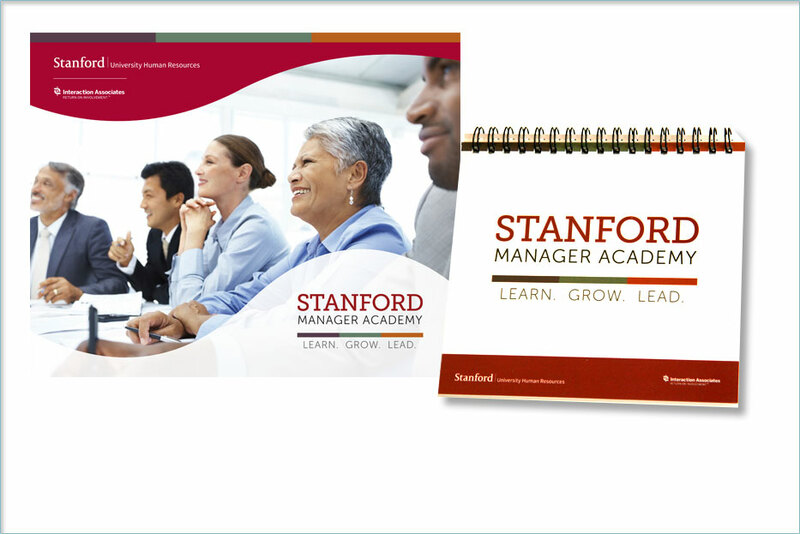 Designed logo and course materials for Stanford's manager training program. CORPORATE COLLATERAL DESIGN for Thawte. Extended Thawte's brand through the design of printed corporate collateral. CUSTOMER RELATIONS for Symantec. Strategized, created content and designed email to create customer goodwill by providing important information related to Symantec's products. WEBSITE CONTENT REFRESH for NetSpend. Consolidated and strategically rewrote NetSpend's website content to re-focus on lead generation and sales. ONLINE ADVERTISING for GeoTrust. Developed content and designed ads of various sizes to describe GeoTrust's key benefit of making a fairly complicated product easy to deploy. CUSTOMER RETENTION EMAIL CAMPAIGN for Symantec. Strategized, created content, and designed email campaigns to encourage certificate renewal for Symantec SSL products. CUSTOMER ACQUISITION for NetSpend. Rewrote and redesigned NetSpend's card carriers, increasing open and activation rates. When you work with Servo, all your strategy, design, and content development is implemented by our senior team. Your project is always the direct result of our decades of marketing expertise. We tailor the team to fit your objectives. Over the past twenty years, we have built relationships with dozens of designers, content developers and coders. We assemble the team that'll be the most effective to meet your objectives. You don't pay for a PHP developer if your site doesn't need PHP. Design and implementation of cohesive communication campaigns. Full-service website development, from planning to deployment. Campaigns focused on results and adding to your bottom line. Communications to encourage deeper exploration and participation by new users. Finding ways to spark new interest in your products. Environmental graphics, booth design, and schwag to get you noticed. Periodicals to push communications agendas. Motivate sales and cross-promotion with employee contests. Stay top of mind during holidays and during customer events. Get your customers to generate leads for you. Capitalize on generated leads with precision follow up. Increase the perceived value of your program or product with a strong brand. Create a strong presence by extending your identity throughout all communications. Increase customer goodwill by providing valuable information. Cut the clutter on your website to drive directly to sales. Drive leads with concise ads that understand customer needs. Keep customers by reminding them of your products' value. Demonstrate the value of engagement and make it easy to sign up. We spent many years on the client-side of the equation, working with large agencies. We saw our marketing budgets frittered away on unnecessary processes with assistants to assistant account managers. And, more often than not, what we received were sophomoric designs and weak copy from a B-team that entirely missed the strategic mark. At Servo, our senior team is directly involved in developing your project. No one will ever learn on your dime. For over twenty years, Matt has designed, art-directed, project-managed and provided creative leadership for major corporate clients such as Apple, Sprint, The Gap, Symantec, Macy's, LucasArts and Sun Microsystems, as well as many smaller businesses. He has created corporate identities for dozens of start-ups and has directed the design of over 100 Web sites. He has served as an art director for the Crown Guides publication, Unique Places in San Francisco and has been a producer and assistant director on various film productions. In addition to his creative work, Matt has written computer programs, developed online applications and interfaces as well as configured complex, relational databases. Like all Servo team members, he codes by hand. This blend of creative and technical skills makes Matt uniquely qualified as a designer and producer of Web sites. Matt is a graduate of the University of Illinois, Urbana-Champaign. Ronnie is a well rounded B2B and B2C direct marketer and technical project manager. For over twenty years, he has provided consulting expertise in all areas of marketing: acquisition, lead nurturing, customer relationship/retention, and new product development. He is adept at launching highly complex projects, translating needs and gaining consensus among a variety of departments. He also has the unique ability to develop e-commerce strategy, write marketing copy, and create response models with equal aplomb. Ronnie joined Matt at Servo in 2004. Before that, the majority of his career was spent in Direct Marketing and Product Marketing in the financial services (Discover Card, Providian Financial, Wells Fargo) and high-tech (Intuit, VeriSign, Symantec) industries. Ronnie obtained both his MBA and his BA from the University of Michigan, Ann Arbor. © 2005– Servo Marketing & Design. All rights reserved.